Terento is situated right at the entrance of the Val Pusteria. 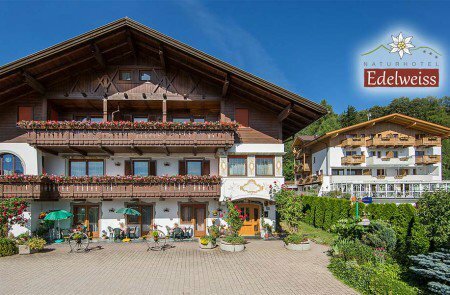 Here, you will find our family-friendly Nature Hotel Edelweiss. Our town is also known as the sun village! Due to the fact that during summer time, you can enjoy the sun from 4 am to 8 pm every day. The reason why we are so blessed by the sun is that the village is situated on a sunny highland plateau 1.210 m above sea level. 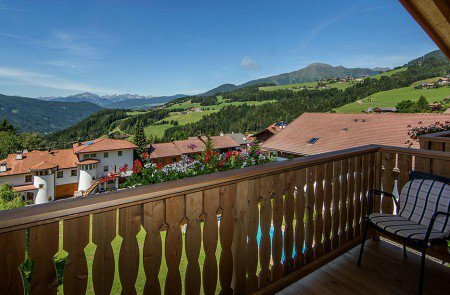 Hence, our Nature Hotel Edelweiss is the ideal place to enjoy a spectacular summer holiday in Val Pusteria. Your holiday home is the perfect starting point for many leisure activities, offering plenty of destinations for your excursions. The nearby forest, the wide mountain pastures and alpine meadows, as well as the bizarre alpine landscape offer the ideal surrounding for fascinating hikes along mountains and alpine pastures. 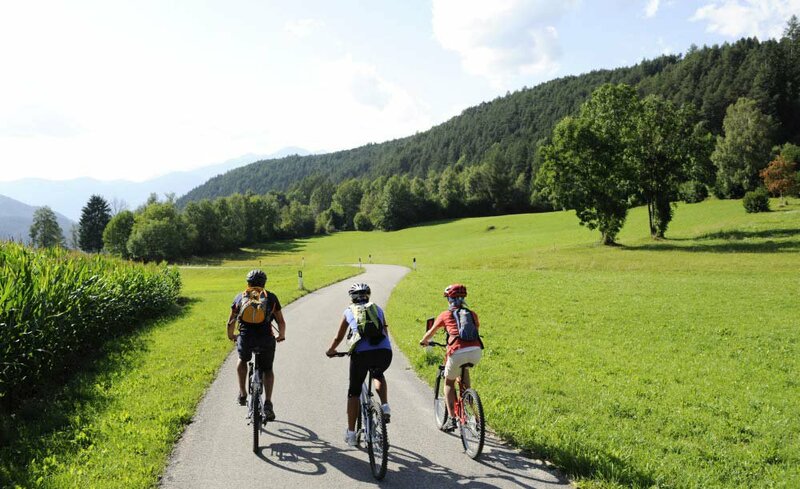 Bike enthusiasts can look forward to countless cycling tours and mountain bike trails. To cool down and refresh, our hotel pool, the idyllic Laghetto d’Issengo in Falzes or the adventure pool “Cron 4” in the close by village of Riscone are the perfect locations. In front of the impressive scenery of the majestic Dolomites, our guests can enjoy plenty of amazing adventures during their summer holidays in Val Pusteria. If you wish, you can discover the surroundings on horseback. 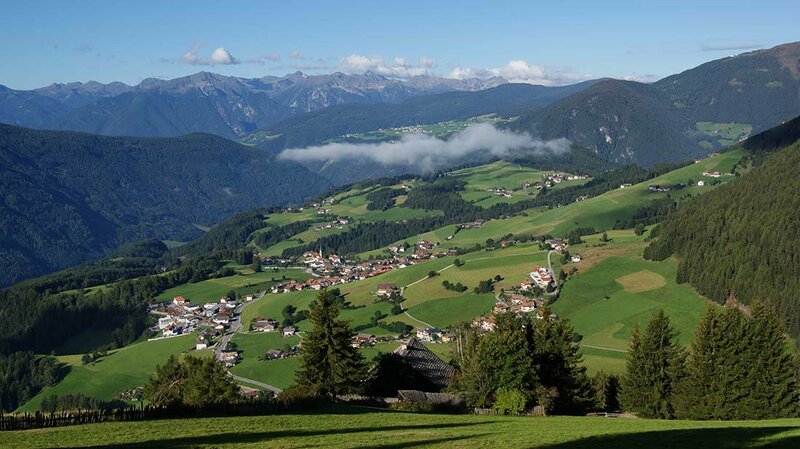 Golfers will have the time of their life in the Golf Club Pusteria in Brunico. For families with kids we recommend a visit to one of the Nature Park Houses, such as the one in the Nature Park Puez-Odle. A very special treat awaits you in one of the many paragliding clubs in Val Pusteria. Beginners can enjoy a tandem flight and experience the stunning landscape from a bird’s perspective. 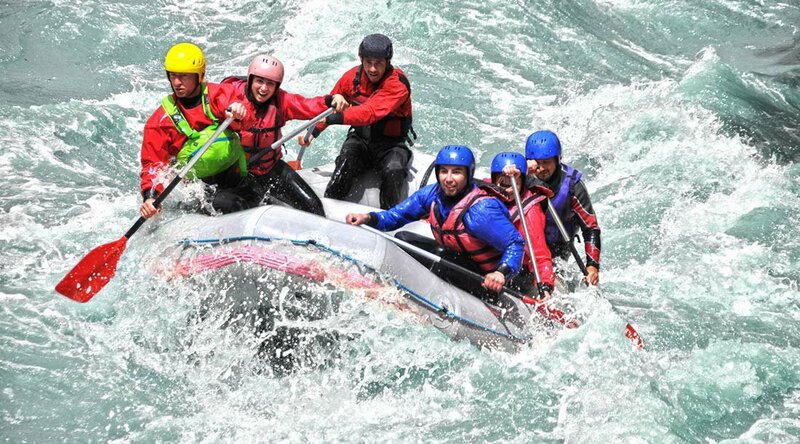 River rafting through the wild-water rivers Isarco and Rienza guarantee unforgettable adventures for all ages. Different rafting clubs also offer tours for beginners.